As time goes by, the colour of wooden flooring can fade depending on the type of floor. Our staining service can bring back the original look of your wooden flooring. Hartnett Flooring offers different kinds of stains that will be perfect for your needs. Do your wood floors look a bit dull and boring? Would you like to add a touch of shine and colour to your floors? If yes, then adding wood stains is the perfect solution and Hartnett Flooring can help. 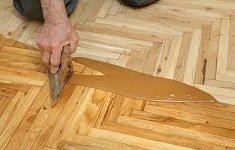 Our company offers the best wood floor staining services to both commercial and residential establishments in all the suburbs and city of Melbourne. We take pride in delivering different types of wood stains — various shades from light to dark stains. Light stains are effective in brightening up any space and is perfect for rustic and casual themes. Medium stains are the perfect option for a more traditional look and easily match different types of hardwood. Lastly, dark stains are now very popular for modern homes as they add more style and a more dramatic effect to any type of hardwood flooring. An added bonus: it’s also great for concealing any imperfections of the wood. The right wood floor stain can certainly bring out the best in your wooden flooring. However, finding the right stain can be tricky to ensure it looks right after it dries and is suitable for the specific type of wood floor. We have flooring experts who can help you choose the wood floor stain that would be perfect for your floor and will best suit the grain of your wooden flooring, so call us for a free consultation. At Hartnett Flooring, we help home owners and business owners add colour and life to their wooden flooring. We customize our wood floor staining services to meet the flooring needs of our clients. If you wish to see how wood staining can make a difference to your hardwood floors, then call us now. We offer no-obligation and completely free on-site estimates without any hidden charges! Contact us now at 0402-093-872 to schedule your free quote.